Just Jingle: Jingle All the Way! It's Day 4 of the CAS-ual Fridays Stamps Release and we have another awesome stamp set to share with you! And this one has some AMAZING coordinating dies, too! Ummm... YUP! I LOVE that stamp! And the little bell cluster is absolutely FABULOUS! LOVE IT! For reals. But, you GUYS! This stamp set also has a seriously fabulous sleigh in it and you have GOT to see what some of the Girl Fridays created with it! I was inspired, that is for sure! So simple but so great! Love the inclusion of that famous Christmas song. LOL. I love this! How did I know you would use this one??? haha A great card! I love your CAS card, is just perfect!!! Sweet and simple! I love the bells and the sentiment! Fun fonts! 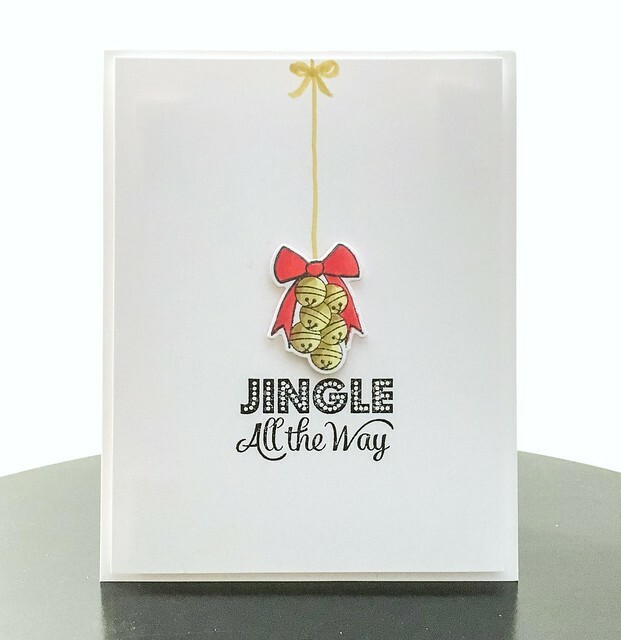 Super cute jingle bell card, love the CAS design! Wow! Such a lovely card! Really cute!